The poem written on the index card took me right back to my days as a freshman in college. Recently I found this little treasure in the Bible that I used back then and still love. I had the index card posted on a bulletin board above my desk and I remember nights when I sat there staring at the comforting words of the poem. My freshman year was an exciting time of new adventures, opportunities, and friends. And yet I remember being so uncertain, insecure, and afraid. So I found great comfort the other day when I pulled the poem out of my Bible. Many (many) years after college, and here I am, still wondering about the journey ahead. Here I am, at times still struggling with uncertainty, insecurity, and fear. Of course, there have been many lessons learned in the years since college. I am not necessarily any more self-confident but I am certainly more God-confident, and that makes a world of difference, thanks be to Him. But on my calendar is written an appointment for an interview, tomorrow. Will my interviewer like me? Will I be a good fit? Is this the path You are leading me, Lord? Do I really want this? And I smile knowingly when I watch my girl stand indecisively in front of her closet. The beginning of fifth grade. She’ll be a big kid on campus. New opportunities, adventures, and friends await her. But she knows and I know that she didn’t sleep well last night. Lord, this is the time when we need God-confidence. To remember that You go before us. I reach for the Bible that’s imprinted with my maiden name and out falls the index card again. The words of promise in the poem written by St. Teresa of Avila find me in a familiar place. God reminds me – Look at all I have done since you copied those words so many years ago. I have led, carried, and sustained you. I am the same God now as I was then….I never change. Trust Me. Lord, I will. I pray that my girl will. Thank You. Nothing is wanting to the soul who knows God. ~ St. Teresa of Avila. This entry was posted in Thoughts on faith and tagged Faith, God-confidence on August 23, 2012 by Renee Ratcliffe. Time keeps on slipping, slipping, slipping….. I know that’s obvious (and sounds familiar), but I am asking myself – can it really be the end of summer? And wait, were those Christmas ornaments on the shelf of the store? Sigh, it’s true – just one more week, and my girl begins fifth grade. And so, along with the annual Target-Walmart-Outlet Mall rounds, begins the messy mix of emotions. My rising fifth-grader has a new word to describe it this year: “Discombobulated.” One minute she is eager to see who is in her classes and the next minute she is moaning about homework. One minute she is excited about new school supplies and the next minute she is groaning about actually having to use them. A couple of weeks ago, before the discombobulation began, my family spent a day of hiking in the Dupont State Recreational Forest (near Hendersonville, NC). 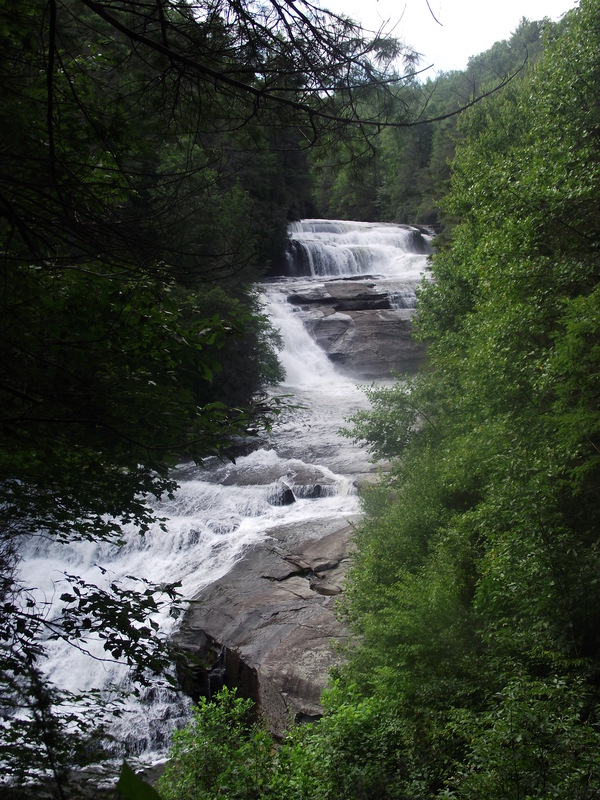 We were in search of the forest’s famous waterfalls, and they did not disappoint! Triple Falls and High Falls were well worth the trek. A forest volunteer told us that we picked the perfect time to visit because the substantial rainfall over the summer had increased the water volume significantly. 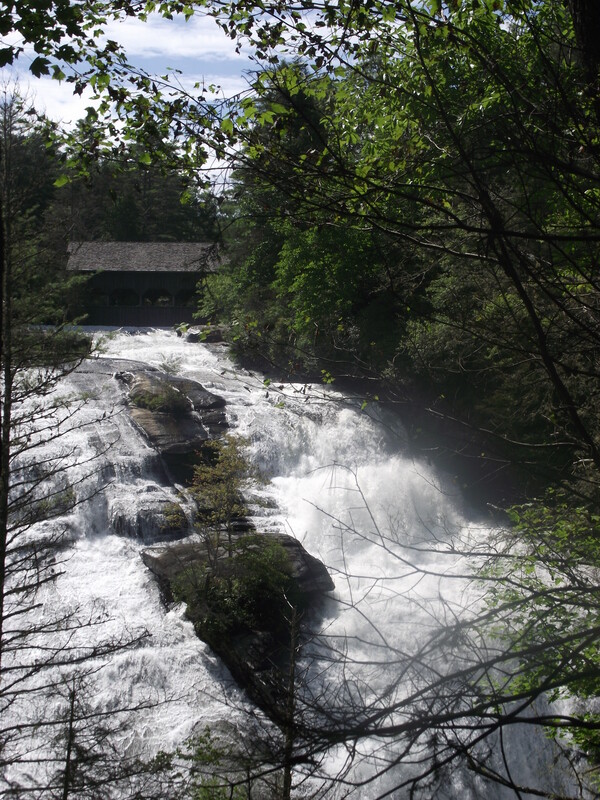 Last summer, according to the volunteer, water had to be pumped into the river from another source to make the falls look more impressive while the Hunger Games movie was being filmed in the forest. Waterfalls fascinate me. I attempt to watch one “spot” of water as it cascades down the falls and rushes downstream. I always wonder – where has the water been and where is it going? And although the falls look the same, it is always a new rush of fresh water. Each drop, every gallon moves on to new destinations. In some strange way, this perpetual motion both saddens and inspires me. Kinda like homework, new friends, and school supplies. “The picture before us is of a river. Stand on its banks and contemplate the flow of waters. A minute passes, and another. Is it the same stream still? Yes. But is it the same water? No. The liquid mass that passed you a few seconds ago now fills another section of the channel; new water has displaced it. Water instead of water. Grace takes place of grace. God’s Word promises that His mercies are new every morning (Lamentations 3:23). Tomorrow’s grace will be as dependable as – and yet different from – today’s grace. God knows what I need for each moment, and His constancy carries me through change after change. And when, overwhelmed by the fear that loss or loneliness will dry up the supply, I call upon Him, and the Holy Spirit pumps fresh power and strength into my soul. And so, I can send my girl to fifth grade, though it is bittersweet (or “discombobulating”), knowing that God’s grace covers us this day, the next day, and on and on…. Life cannot be static nor stagnant nor stationary. But He is here when the water is peaceful; He is there when the water is chaotic. He is Lord; and and He is good. This entry was posted in Thoughts on faith on August 18, 2012 by Renee Ratcliffe. There’s something about singing along with the car radio that just says “summer” to me. My family has taken a few road trips this summer, and there is often a sweet little voice coming from the backseat. 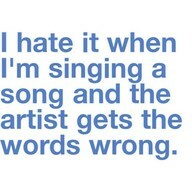 Recently I saw a random quote on Pinterest that could apply to my girl: “I hate it when I’m singing a song and the artist gets the words wrong.” Caroline could have posted that one; it’s often really cute but true – she inadvertently creates original interpretations of song lyrics. As I thought about the lyrics according to my girl, it suddenly struck me that Caroline’s version was just as true! At the time, my husband was preparing for a two-week mission trip to Asia, and the “what-ifs” had almost overwhelmed me. But in this moment in the car, Caroline’s unique rendering of “Forever” reminded me to trust in God’s goodness and faithfulness in whatever was to come. The fact that God is able to do whatever He pleases should inspire worship and faith from us. He is both completely sovereign and completely good. He shows us in the writings of Isaiah. In chapter 40, the Word expresses the incomparable greatness of our God. Isaiah 40:10 says, “The Sovereign Lord comes with power and He rules with a mighty arm.” In the following verse, the mighty God is pictured with mercy: “He tends His flock like a shepherd; He gathers the lambs in His arms and carries them close to His heart.” (v.11). This entry was posted in Thoughts on faith on August 15, 2012 by Renee Ratcliffe. When I was a kid, I thought that my parents were the world’s best drivers. Daddy was a drag car racer, so of course he had excellent reaction time and acceleration. But I was most impressed with Mom’s driving skills, probably because I was in the car with her more often. I could not understand how she could make the car move from one lane to another lane. To me, it didn’t seem like she was doing anything and yet the car would move into whichever lane she wanted it to be. Maybe – I imagined as a child would – she would just think about moving into another lane and the car would read her mind. I was disappointed when she tried to explain that changing lanes was not some kind of driver-to-car telepathy. 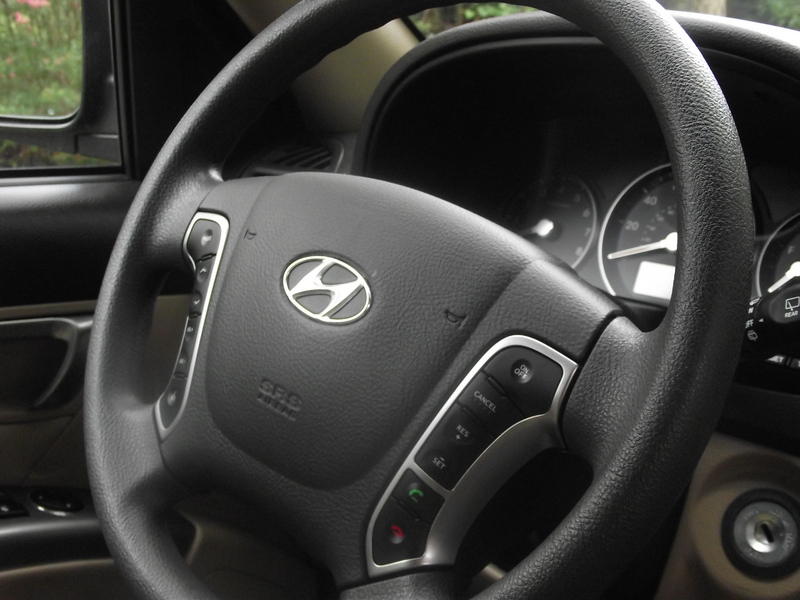 Rather, she really was moving the steering wheel, subtly enough to make the car move aside without changing its direction. Like me, Caroline might not understand the subtleties of driving until she actually gets behind the wheel. But our conversation got me thinking about the power of the slight and subtle. For most of my life I’ve been a Christ-follower and I haven’t taken many sharp turns, figuratively or literally. But the longer I travel, the more aware I am of changing lanes. It doesn’t take much at all to make the shift. The route often depends on the subtle movements. When I choose being right over being kind, I move into a lane of pride. When I choose fixing my problem rather than praying through it, I move into a lane of self-sufficiency. When I choose to focus upon my outward appearance more than the state of my heart, I move into the lane of image-management. When I pursue success and satisfaction according to the world’s standards, I move into the lane of idolatry. But when I choose gratitude over grumbling, I move into the lane of contentment. When I choose a schedule that has more margins than demands, I move into the lane of peace. When I choose receiving God’s favor over achieving God’s favor, I move into the lane of grace. When I choose to wait upon the Lord rather than accelerate my own agenda, I move into the lane of trust. Each day, there is an abundance of choices that might seem relatively minor but influence the direction of my attitude and character. It really depends on who takes the wheel. Lord Jesus, thank You for all the times when I’ve been over there, and by Your grace, You’ve moved me back over here. I’ll choose to be the passenger from now on. Amen. This entry was posted in Following Christ and tagged Choices, Living in Christ, Surrender on August 12, 2012 by Renee Ratcliffe. Now normally my girl wouldn’t get away shushing an adult, especially a parent! But this had been my idea, and she was enthusiastically running with it. Yesterday, Caroline was perched on top of the sink, her body leaning outside the kitchen window and wobbly hands clutching the camera. She was desperately trying to capture a shot of a hummingbird in flight. We have a hummingbird feeder in front of our kitchen window, and every summer we enjoy our temporary “pets.” Yesterday afternoon, there were cupcakes to bake, but my every move threatened to frighten the skittish creatures away. Yesterday, for Caroline, was one of the rare restless days that we’ve had around here, so I suggested that she try a little nature photography (as in go-outside-and-take-outside-pictures). The stay-inside-and-take-outside-pictures was not the strategy I had in mind, but I had to agree that Caroline’s perch on the kitchen sink offered the best spot for capturing a hummingbird at the feeder. Why aren’t they coming, Mommy? I’m tired of waiting, Mommy. 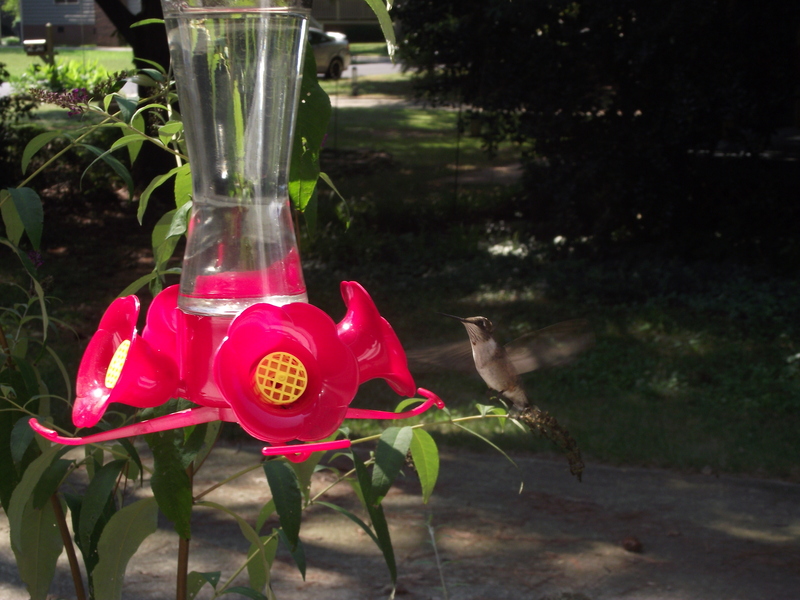 Caroline’s impatience took my thoughts back 11 years to the first summer that I put out a hummingbird feeder. I did everything right for attracting hummingbirds where I live. I planted the red plants that they enjoy, hung the feeder in the spring, and supplied fresh feeder water every few days. I prayed. Yes, I prayed for something so small, so insignificant. No hummingbirds in sight, even well into July. I grew tired of watching for them and mixing up the sugar water. Eventually the fresh water grew as sour as my hope, and I gave up. I stood at the sink, the same afternoon as I had tossed the feeder aside, and watched as dark clouds entered upon strong winds. Suddenly a hummingbird appeared and hovered in front of the window for what seemed like the longest time while I stood motionless. If hummingbirds could demonstrate expression, this little one was particularly annoyed! Of course I sprang into action. With freshly-filled feeder, I rushed out into the driving rain and wobbled up the stepladder. I remember thinking, “I probably shouldn’t do this, being pregnant and all,” but for some reason that little hummingbird meant the world to me in that moment. During a video recorded live at a Deeper Still conference in Orlando (and incorporated into the Bible study series, Faithful, Abundant, and True by Arthur, Shirer, and Moore: Lifeway, 2010), Priscilla Shirer says that our God IS able and He is able to SURPRISE. That summer, 11 years ago, I could not get over the surprise of expecting a child. After so much waiting and hoping and praying, the baby meant the world to me. And with such a long-awaited pregnancy, I was a very nervous pregnant person. Of course I knew that God was able. And deep inside I knew His character enough to believe that He was able and willing to meet the greatest and smallest desires of my heart. Somehow my answered prayer over the smallest desire gave me enormous comfort for my greatest desire. He knows. He sees. He hears. And, Oh, how He loves! Speaking of kitchen windows, I keep a tiny slip of paper on the sill that came to me out of a fortune cookie. 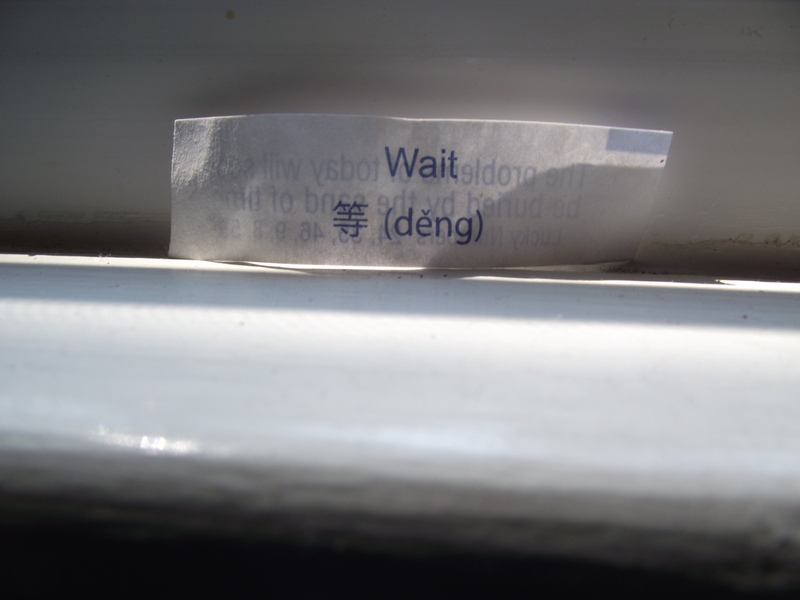 It simply says “Wait.” Who receives fortune-cookie forecasts like that? For me, it’s perfect. Another reminder of His faithfulness. I still have big dreams. And like Caroline was yesterday, I’m still watching and waiting. Eleven years later, and I still believe. Not every prayer has been answered so evidently, nor has every prayer been answered with “yes.” I learned that oftentimes “no” and “wait” are the wisest of answers from my wise Father. God is able and is able to surprise! 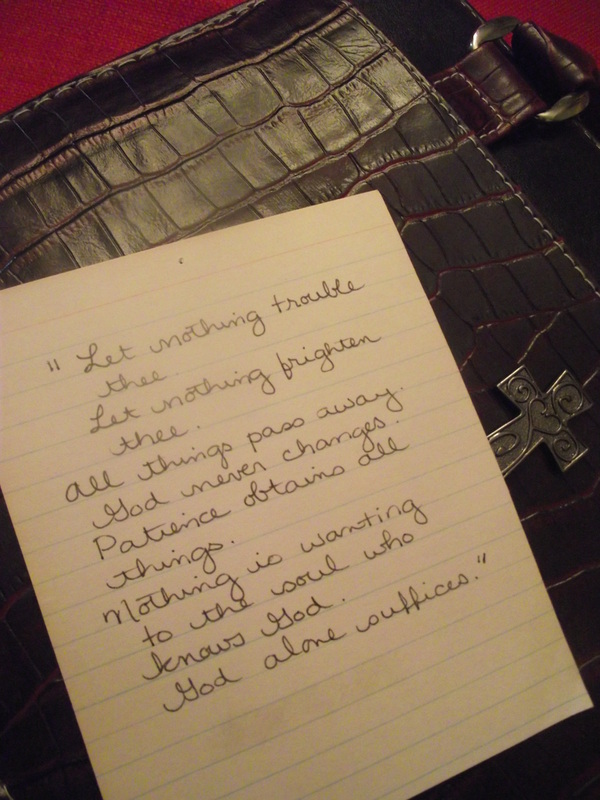 This entry was posted in Encouragement, Thoughts on faith and tagged God's wisdom, Prayer, Trusting God, waiting on God on August 3, 2012 by Renee Ratcliffe.